The day ELFs have been dreading has finally arrived, as Super Junior′s leader Leeteuk is set to enter the army today.Fans began swarming the army base in Uijeongbu, where Leeteuk will begin recieving basic military training before serving on active duty, early in the morning on October 30. Tired or sad? Tired and sad? One of the many banners dedicated fans tooks to hanging up in preparation for Leeteuk′s arrival. Fans came out in droves to send off the Super Junior leader. Super Junior, a 10-member K-pop group, will hold its first solo concert in Paris next month, according to reports on Wednesday. 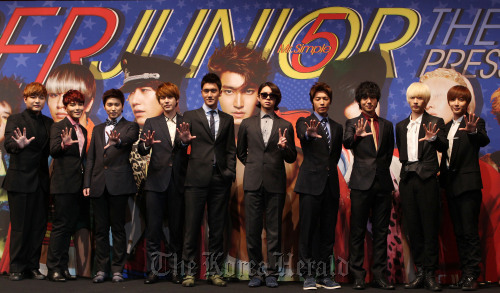 The Paris show is part of Super Junior’s world tour titled “Super Show 4” and will take place on April 6 at Le Zenith de Paris where world-famous stars including Neyo, the Pussycat Dolls and the Jonas Brothers have performed. The boy band performed for French fans at the same venue last year along with other K-pop artists under SM Entertainment. In December, the group performed for a record 90,000 people in a two-day concert in Osaka and also held concerts in Singapore and Taipei. The schedule has yet to be confirmed, but they are to visit other cities in Europe and South America as well, according to reports. On March 9-10, the Korean boy band will hold its solo concert in Macao. Ticket sales for Super Junior’s Paris show open at 10 a.m. on Friday (Paris time) via http://www.livenation.fr. Donghae, a member of popular boy band Super Junior, was picked by foreign fans as the number one Hallyu star they would date, a survey showed. According to the survey by broadcaster Arirang TV, Donghae, 26, topped the list of the seven most datable hallyu stars voted on by web users around the world. The survey, conducted for a month on the entertainment program Showbiz Korea, had 3,278 people participate from countries such as Morocco, Honduras, Guatemala and Mexico. Donghae is gaining popularity in Asia not only with his music, but also with his acting. 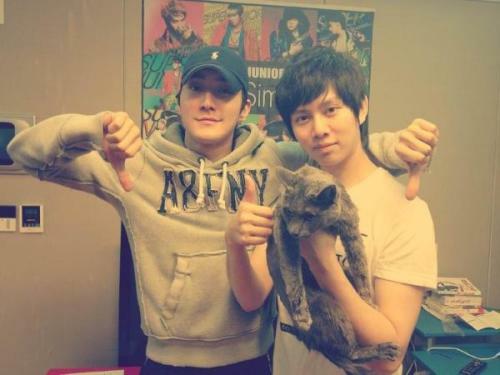 The singer currently appears in the Taiwanese TV drama “Skip Beat” along with Si-won, another member of Super Junior. 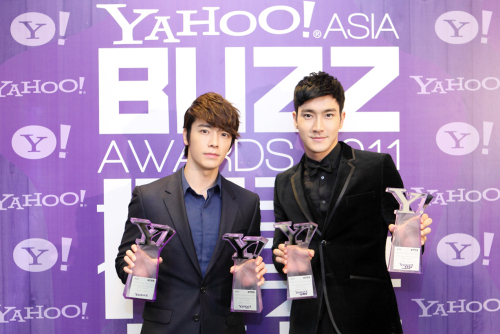 Donghae topped the list with 10.8 percent of the votes, followed by Kyu-hyun of Super Junior with 8.1 percent, and G-Dragon of Big Bang with 7.9 percent. Girls’ Generation’s Sunny has been cast in the musical “Catch Me If You Can”, based on the hit Hollywood movie. Sunny will be playing the role of Brenda, the main love interest of the protagonist of the story, Frank Abagnale Jr. The story revolves around Frank’s life as a con artist who forges checks to pay himself millions as he turns himself into a fake doctor, lawyer, and even an airline pilot, all while constantly staying one step ahead of the chase from FBI agent Carl Hanratty. He finds a young girl, Brenda, whom he falls in love with but is unable to tell the truth about who he really is. “Catch Me If You Can” was turned into a successful Broadway musical and is now hitting the stage in Korea. Among the other actors that will be in the musical are CSJH The Grace’s Dana, who will share the role of Brenda with Sunny and Choi Woori, and SHINee’s Key and Super Junior’s Kyuhyun, who will play the role of Frank. Sunny will soon join her fellow Girls’ Generation members Taeyeon, Jessica, and Tiffany as a musical actress. Upon hearing the news of Sunny’s casting, fans quickly voiced their excitement, trending “Catch Me If You Can” worldwide on Twitter. “Catch Me If You Can” will run from March 28th through June 10th with performances on Tuesdays through Saturdays at 4pm and 8pm, and Sundays at 3pm and 7pm at Bluesquare Samsung Card Hall. The official website for the musical also released a short teaser, which you can view below. Congratulations to Sunny and good luck in “Catch Me If You Can”! I am also 24 years old now… Even if I’ve grown older, I really want to always live in my parents’ arms like before.. The world is a night which shows cruelty. 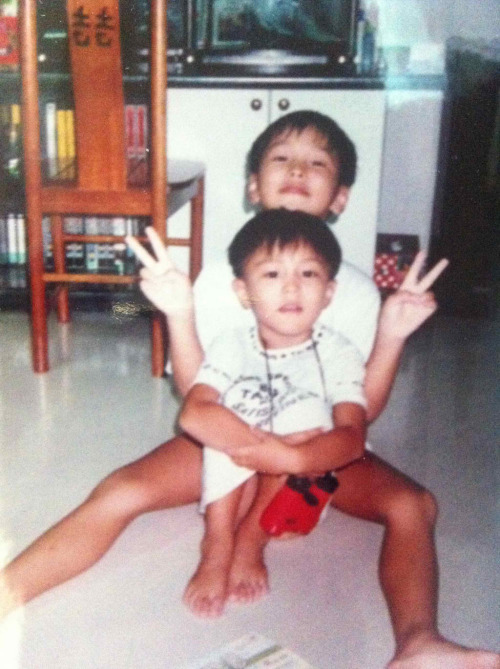 As I grow older, there seems to be changes .. Hyung, when we were young, we deceived our parents and did this and that and stayed united~ You don’t know how empty I felt when you started dorm life, moved out your luggage and is unable to come home. 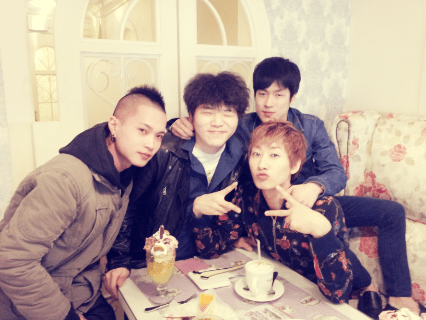 Seems like I am lucky~ Because of hyung, there are many people who gave me support when I was tired. My social circle is not wide and don’t have things to be congratulated for, but everyone took care of me~ What I can do is know that there will be people to cheer for me no matter what mistake I make and even if there are things I am unable to do~^0^ You’ve worked hard today. Also have an enjoyable day tomorrow!